Suss: "The low-cost segment in Europe will grow substantially." Marc Suss has led Renault's Global Access Program since May 2015. 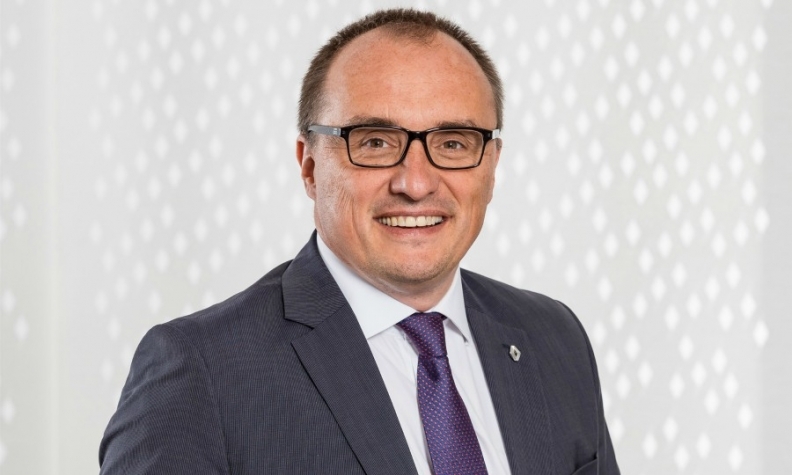 He oversees the company's line of low-cost cars that are sold in Europe as Dacias and elsewhere as Renaults, as well as the Kwid (sold in India and Brazil) and Kaptur (sold in Russia, India and Brazil). Previously, he was program director for electric vehicles at Nissan, and served as chief vehicle engineer for the development of the Sandero and Logan models, and held other management positions in engineering at Renault. Suss spoke with Automotive News Europe Correspondent Peter Sigal about the future of the program and how it will adapt to a changing automotive landscape. What is the Global Access Program? It is Renault Group’s line of affordable cars for worldwide sales. That means Dacia for Europe and North Africa, and we are also using the Global Access Program to grow the Renault Group outside of Europe in Brazil, India, Iran, Russia and South America. There are three families of cars: The Logan/Sandero, at the center; moving up in size with the Duster/Kaptur; and moving down a size, the Kwid. What is Renault’s formula for making low-cost cars profitable? The first point is to have very strong design-to-cost. Normally when you produce a car, product planning says what it needs, styling says what it wants, then you send this to engineering; engineering gives a quote to the supplier, and the supplier comes back with a price. Then you take it or you leave it. We don’t work like this. We get everybody in a room and say, we would like a component and we have 50 euros to make it. What should we do to get it? It’s another way of thinking. Costs are contained, making us customer-value centric. The second point is having global scale. We produce the current Duster in Romania, Russia, Colombia, Brazil and India. If you go to a supplier and say you want 100,000 parts a year, you get one price, but if you come and say you want 500,000 parts a year, it’s not the same price. How did you create the Renault Kaptur, with a K, for sale outside of Europe? We used the design of the European Captur — a true B-segment [subcompact] car — but we put it on the Duster platform to make it bigger, a C-segment [compact] car. The B-segment Captur (with a C) is successful in Europe, but it’s too small for India, Russia and South America. What new vehicles will we see in the Global Access program? We will have a larger SUV model in the Duster/Kaptur family, and in India we will launch more cars in the Kwid family. Main challenge: Increasing sales of low-cost vehicles to 2 million by 2022 from 1.2 million last year. Do you work with the same suppliers as the core Renault brand? We often use the expertise of major suppliers such as Valeo and Delphi, but most of the time we try to use local suppliers. Small suppliers have low fixed costs and are very agile, but you need to help them on the technology side. In Romania and Morocco, we work with a lot of very small suppliers, and we have helped them to grow. As an extreme example, 98 percent of the Kwid in India comes from local suppliers. Otherwise, you cannot sell a Kwid for 4,000 euros. What is your forecast for Dacia sales in Europe? The low-cost segment in Europe will grow substantially. Purchasing power is flat; inflation and salaries are mostly flat, but the cost of cars is going up. Many people will downsize or move to cheaper cars. Is there room for more vehicles in the Dacia lineup? We have a full lineup today: Sandero, Logan and Logan MCV, Lodgy, Duster and Dokker — that’s six models. We don’t want to add too many models because then you lose the effect of scale, which lets us be affordable. We won’t go into niche categories. This story is from Automotive News Europe's latest monthly magazine, which is also available to read on our iPhone and iPad apps.You can download the new issue from Jan. 2 as well as past issues by clicking here. How will low-cost cars integrate expensive technology trends such as autonomous driving and electrification? We’re open to all technologies, but they need to make sense for our customers. Autonomous features will remain very expensive for years so I think that 80 percent of the world won’t be able to afford them. There will still be a huge market for affordable cars. Today’s EVs are more expensive than gasoline or diesel cars, but powertrain costs will go up because of emissions rules, and battery costs are going down. Are you surprised that no other European brands have tried to compete directly against Dacia? We were forecasting that we would have had more aggressive competition today, but the fact is, it’s not so easy to do. We’re happy with this situation, of course. Some companies have a strong corporate culture that will not allow the tough design to cost that we do.